Don’t panic…but there are only five shopping days left until Christmas. 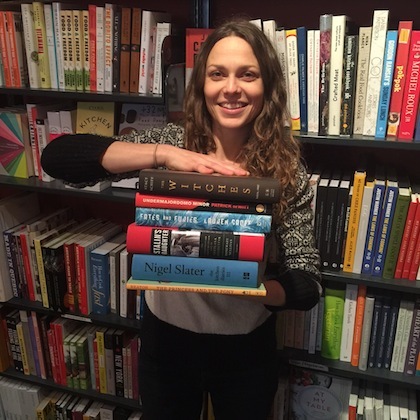 Listen here for my annual Holiday Gift Guide for CBC’s Day 6, a selection of six great books for a variety of readers on your list (hint: said books are stacked in my arms right up there /\. Look how happy I am to be recommending them!). Remember, folks: books are easy to wrap. Happy Holidays! 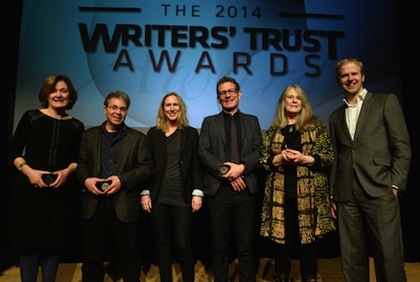 The Writers’ Trust Awards ceremony is easily one of my favourite literary events of the year. 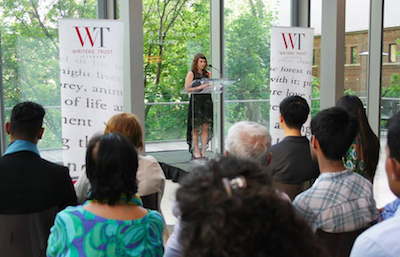 Over the course of an hour, the Writers’ Trust gives out six prizes for literary merit and $139,000 to Canadian writers. There are always some surprises and there are always some very excellent acceptance speeches. 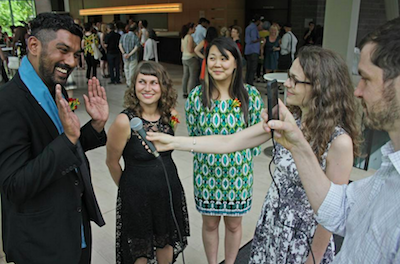 The 300-strong crowd is a who’s who of emerging writers, entry-level publishing staff, and the most experienced and respected publishers in the land. 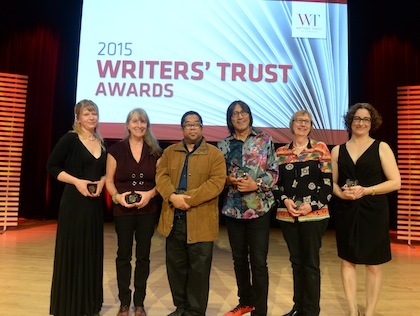 Without a doubt, one of this years’ most memorable moments was the acceptance speech delivered by Richard Wagamese on accepting the Matt Cohen Award: In Celebration of a Writing Life. Don’t believe me? Watch it here. It is well worth 4 minutes of your time. 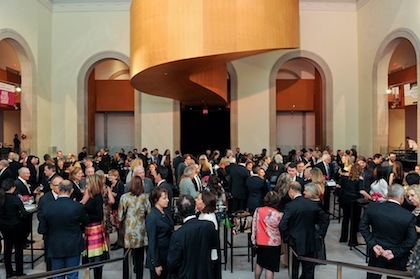 At an elegant gathering of 200 well-heeled, literary-minded folk in the Art Gallery of Ontario’s Walker Court on October 6, the Hilary Weston Writers’ Trust Prize for Nonfiction was awarded to Rosemary Sullivan for Stalin’s Daughter: The Extraordinary and Tumultuous Life of Svetlana Alliluyeva. Performers brought each of the nominated books to life throughout the party and awards show. Also present was the winner of this year’s Hilary Weston Writers’ Trust Student Nonfiction Writing Contest, Nico Branham. The next morning, I dragged her out bright and early to do the media rounds. She was very nice about it. A photo gallery of the night’s festivities can be viewed here on the Writers’ Trust Facebook page. 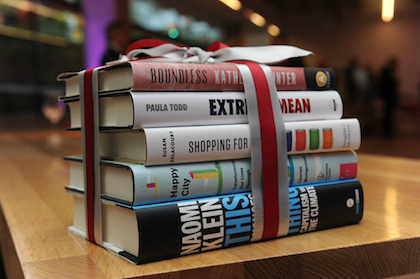 Anxious publishers and publicists and members of the media gathered at Ben McNally Books in downtown Toronto for the unveiling of the first fiction-prize shortlists of the fall 2015 literary season. The winner will receive $25,000 and each finalist $2,500. The winner will receive $10,000 and each finalist will receive $1,000. In addition, the journal that first published the winning story will receive $2,000. The winners of both prizes, along with four other awards for a body of work, will be announced at the Writers’ Trust Awards ceremony in Toronto’s Glenn Gould Studio on November 3. More than half a century after modern classic To Kill a Mockingbird was published, a new manuscript by its reclusive and media-shy author came to light under mysterious circumstances. Mystery or not, the world went mad for it, and on July 14, 2015, it landed. The new novel is called Go Set a Watchman. It has raised many, many questions, and spawned many, many reviews. It has an initial North American print run of 2 million copies. I’ve been doing a segment called “Should I Read It?” on CBC Radio One’s Day 6 for the past five years. We review high-profile, much-talked-about books. We’ve never done one quite as talked about as this. 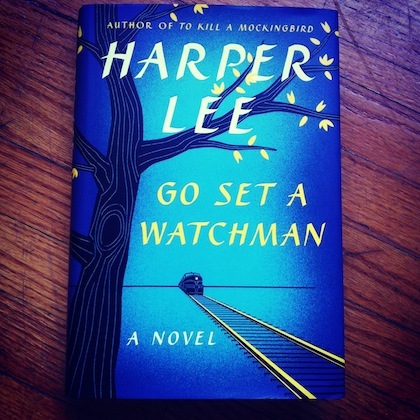 Go Set a Watchman: should you read it? Here’s my review. Alessandra Naccarato, winner of the RBC Bronwen Wallace Award for Emerging Writers. Photo credit Katrina Afonso. The Bronwen Wallace Award recognizes emerging writers under 35 who have yet to publish in book form. Past winners include many then-unknown but now-familiar names, such as Michael Crummey, Alissa York, Alison Pick and Jeramy Dodds. Find out more about the prize and this year’s nominees here. Read stories from CBC Books, the Toronto Star and Quill and Quire here, here and here. And check out a Facebook photo gallery from the event courtesy of the Writers’ Trust here. Chatting to award finalists Irfan Ali, Alessandro Naccarato and Chuqiao Yang before the ceremony. Photo credit Katrina Afonso. 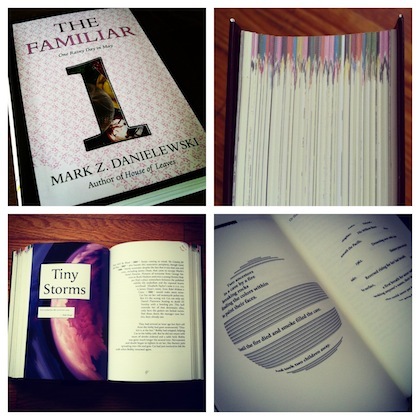 Mark Z. Danielewski has both dazzled and confounded readers with his high-concept novels that utilize font, colour, footnotes within footnotes, and sometimes turning the book upside down every few pages to tell a story. His latest book, The Familiar: One Rainy Day in May, is presented as Volume 1 of a projected 27 volume series, of which new volumes (or “episodes”) will be released every 6 months. It’s unlike any book you’ve picked up before. But should you read it? My review on CBC Day 6 >> listen here. For the last-minute Christmas shoppers among you, here’s my annual Holiday Gift Guide for CBC Day 6. Here’s the audio >> listen. Cary Fagan, who won the Vicky Metcalf Award for Literature for Young People. National Post, feature on Latner Writers’ Trust Poetry Prize winner Ken Babstock. 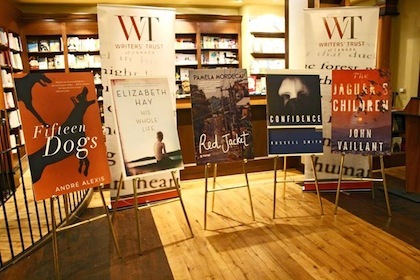 Maclean’s, feature on the ways in which the Writers’ Trust of Canada helps Canadian authors through its ten national literary awards and other programs. On October 14, at a salon-style gathering of more than 200 guests, the 2014 fall literary season shifted into high gear with the awarding of the $60,000 Hilary Weston Writers’ Trust Prize for Nonfiction. The winner was Naomi Klein for her book This Changes Everything: Capitalism Vs. the Climate.